The first thing any prospective homebuyer needs to do is determine whether they can afford to buy the home they want. A down payment of 20 percent or more will qualify you for a conventional mortgage. If it is less than 20 percent, the mortgage must be insured with a mortgage insurance company. Once you’ve determined how much you can afford to put towards a down payment, it’s time to approach a qualified mortgage planner to discuss mortgage options available to you, and create a mortgage strategy that you can afford, and meets your specific needs and goals. Most mortgage lenders look at five factors when determining whether you qualify for a mortgage loan based on what you can afford: your income, debts, employment and credit history and value of the property you want to buy. One of the first criteria a lender will consider is how much of your total income you’ll be spending on housing to. This helps the lender decide whether you can comfortably afford to buy a home. A lender will then look at your debts, which generally include house payments as well as other monthly obligations — such as loan payments, charge cards, and child support to determine if you can afford a home. A history of steady employment, usually within the same job for several years, helps you to qualify; however, a short history in your current job shouldn’t prevent you from getting a loan as long as there have been no significant gaps in income over the last two years, and you can afford it based on other financial factors. Good credit is very important in qualifying for a loan, it’s not just about what you think you can afford. It’s important that you have maintained all of your obligations in a timely manner. The lender will also want to know what the house is worth and the price you plan to pay. 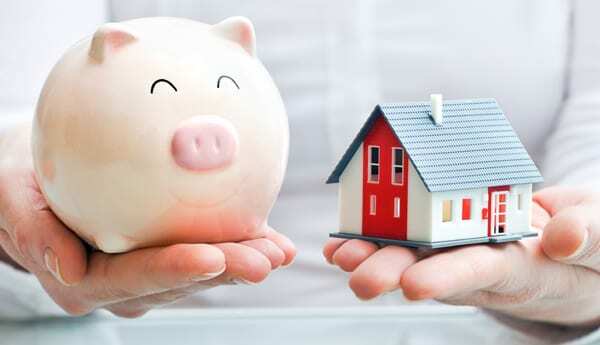 The size of your down payment affects the amount of your monthly mortgage payments. A smaller down payment will mean your monthly mortgage payments will be higher, but it may allow you to buy sooner rather than later. Mortgage payments for principal, interest and taxes should not generally exceed 30 percent of your gross monthly income. Simply multiply your gross monthly household income by 0.30 to determine what you can afford. If your gross monthly income is $4,000, the maximum you can quality for is $4,000 x 0.30 = $1,200.00 a month to cover mortgage payments plus property taxes. You should also remember that there are other expenses over and above your mortgage payments when looking at what you can afford. These include the land transfer tax and legal fees to close the purchase of your home and other monthly-related expenses such as condominium fees, heat, hydro, water, property tax, moving costs, insurance and household maintenance.